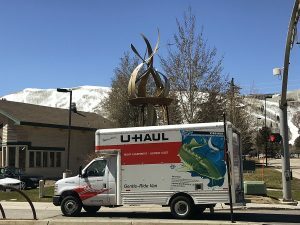 The Park City Police Department last week stopped at least three and possibly four drivers for not using headlights or driving vehicles with headlights that did not work. On Wednesday, Feb. 11, a police officer stopped a driver at 7:54 p.m. in the vicinity of Park Avenue and Iron Horse Drive for not using headlights. Earlier that day, at 12:33 a.m., a driver was seen with a headlight out on S.R. 248. There was also a report about an unspecified headlight violation at 11:05 p.m. on Tuesday, Feb. 10 at the intersection of Kearns Boulevard and Comstock Drive. On Monday, Feb. 9, meanwhile, a police officer stopped a vehicle at the intersection of Park Avenue and Iron Horse Drive at 1:50 a.m. after seeing a headlight out. The Police Department in recent weeks has stopped a series of vehicles that did not have headlights illuminated at times when they should have been. The police say a driver not using headlights sometimes is found to be committing other offenses, including drunken driving. 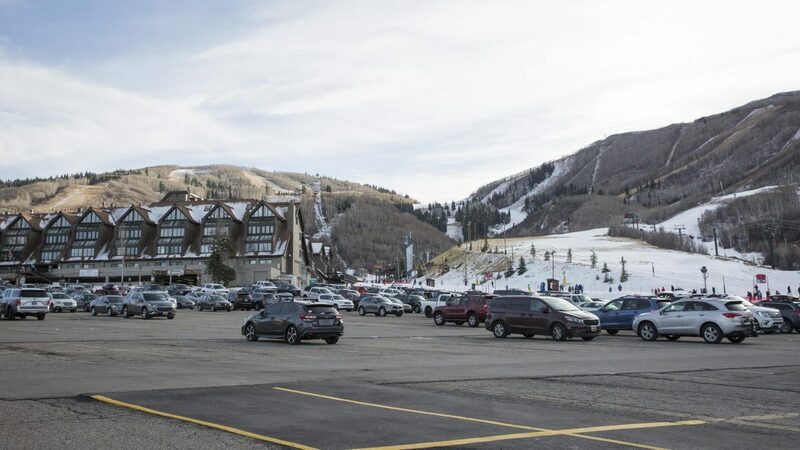 On Sunday, Feb. 15 at 10:15 a.m., the police received a report that an Argentine woman lost her passport somewhere between Las Vegas and Park City and planned to return to her home country. The Police Department provided paperwork allowing travel within the United States to go to Los Angeles and contact information for an Argentine consulate there. At 7:07 a.m., the police received a report from someone on the 1300 block of Deer Valley Drive indicating someone heard an animal that sounded like it was in distress. The person found a cat that had been hit by a vehicle. It was seriously injured, the police were told. An officer who responded was unable to find the cat. On Saturday, Feb. 14 at 11:54 p.m., the authorities received a 911 call reporting a dispute between a taxi driver and a passenger. Dispatchers were told the driver refused to let the person out of the vehicle. The taxi was on its way to the Park Avenue police station. The police were told the passenger refused to pay the fare and was intoxicated. The passenger was arrested on charges of theft of services and intoxication, the police said. A fire alarm sounded in a residence on the 500 block of Woodside Avenue at 10:38 p.m. The police said a person in the residence forgot to open a fireplace flue. 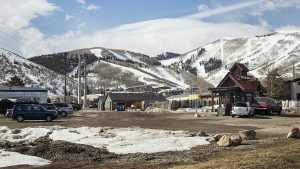 The Park City Fire District was also summoned. A hit-and-run traffic accident was reported at 7:18 p.m. on the 2200 block of Deer Valley Drive. The victim’s vehicle, a rental, was parked at the time. A police officer left a business card on the victim’s vehicle. The Police Department at 6 p.m. received a complaint about reckless driving at or close to the intersection of Bonanza Drive and Kearns Boulevard. The episode occurred at an unspecified time prior to the police report. Police logs indicated " . . . both parties likely participated in the reckless driving." The police were not able to locate the other vehicle. The police received a report of a vehicle traveling well below the posted speed limit along inbound S.R. 224, close to Canyons Resort. The vehicle posed a traffic hazard, the police were told. A police officer stopped the vehicle close to the state highway’s intersection with Payday Drive. The driver told the police the vehicle had problems. The police said the person agreed to stop driving and call a tow truck. A vehicle was reported to have been vandalized while it was parked on the street along Homestake Road. The police at 12:30 a.m. arrested a person on a drunken driving charge at the intersection of Kearns Boulevard and Park Avenue. On Friday, Feb. 13 at 11:36 p.m., the police indicated authorities received several 911 calls about a "vehicle driving erratically and almost rolling over when negotiating a turn." It was on Bonanza Drive, the police were told. A police officer spotted the vehicle as it turned into a parking lot. The driver was arrested on a drunken driving charge. At 5:48 p.m., someone found a wallet along Main Street. It was returned to the owner. Someone reported losing a camera on a bus at 5:44 p.m. The report was logged on Prospector Avenue. At 5:18 p.m., large rocks were reportedly seen on the road along Guardsman Connection. The rocks created a traffic hazard, the police said. A digital music player was reportedly stolen on Royal Street at 4:44 p.m. The music player disappeared while the owner was working, the police were told. Someone reported a wallet was lost on the 1700 block of Park Avenue at 4:17 p.m. 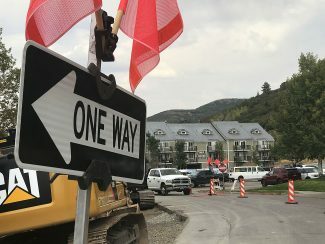 The police stopped a truck along Deer Valley Drive at 2:36 p.m., indicating that it was too heavy to drive across a bridge that serves a hotel. The officer escorted the truck to an alternate access to the hotel off Main Street, the police said. On Thursday, Feb. 12 at 10:19 p.m., the police received a report that a vehicle for hire picked up passengers at a Park Avenue hotel without the proper City Hall license. The police indicated the situation was an issue for code enforcers. At 4:54 p.m., the police received a report that a car was stolen at the intersection of Bonanza Drive and Kearns Boulevard. It was left unlocked and with the keys inside before it was taken, the police were told. The person did not immediately complete a statement to the police about the case and could not be reached later, the police said. The Police Department indicated it did not plan to list the vehicle as stolen until it received a statement. A hit-and-run traffic accident was reported in a parking lot on the 2200 block of Deer Valley Drive at 3:54 p.m. Public police logs did not provide details. The Park City Fire District at 9:02 a.m. responded to the vicinity of Main Street and Swede Alley after someone reported seeing smoke. The police said the smoke came from construction equipment. On Wednesday, Feb. 11 at 11:43 a.m., a car was reportedly seen parked in a handicap spot on the 1700 block of Park Avenue without the required permit. At 10:06 a.m., a necklace was reported to have been lost on Swede Alley, apparently close to the China Bridge garage. Large rocks were seen in the road in the vicinity of the intersection of Deer Valley Drive and Aerie Drive. Drivers swerved to avoid them, the police were told. There were approximately six rocks in the road ranging from the size of a softball to the size of a basketball, the police said. On Tuesday, Feb. 10 at 9:30 p.m., a privately owned bus reportedly backed into a home on Grant Avenue. Nobody was injured. A man reportedly took his pants off in a hallway on Prospector Avenue. The police indicated the circumstances were suspicious. A calf moose was seen in a ditch on the side of the road close to Marsac Avenue and Prospect Avenue at 4:31 p.m.
A minivan with emergency flashers blinking was seen along Kearns Boulevard at 4:11 p.m. It was parked close to a skunk, the police said. A crying woman was concerned about the welfare of the skunk, the police indicated. She wanted officers to block traffic while she attempted to trap the animal, according to the police. Earlier that day, at 8:33 a.m., a skunk was reported in the road on S.R. 248, which is signed Kearns Boulevard in Park City. The police at 11:43 a.m. received a complaint that trash was blowing from a construction site to a neighbor’s yard on Aerie Drive. At 11:32 a.m., the police received a report about a large bag of cement in the road along the 1700 block of Park Avenue. The Park City Streets Department was summoned to clean up the cement with a sweeper. On Monday, Feb. 9, an 18-month-old was reportedly left locked inside a minivan on Snow Creek Drive at 6:18 p.m. The child was not in distress, the police said. Officers and a crew summoned by AAA arrived to open a door.